The moment you use iPhone 6s, you know you’ve never felt anything like it. iOS 9.3 coming this autumn. With just a single press, 3D Touch lets you do more than ever before. Live Photos bring your memories to life in a powerfully vivid way. And that’s just the beginning. 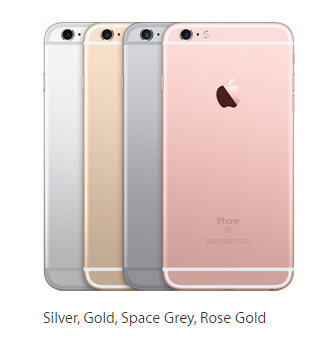 Take a deeper look at iPhone 6s, and you’ll find innovation on every level. 12-megapixel pictures. 4K videos. Live Photos. Lasting memories. Faster 4G LTE. Faster Wi-Fi.